Your cultural itinerary includes sights like Seurasaari Island and Open-Air Museum and Ullanlinna. Kids will appreciate attractions like Nuuksio National Park and Linnanmaki Amusement Park. It doesn't end there: wander the streets of Katajanokka and browse the eclectic array of goods at Hakaniemi Market. To find reviews and tourist information, refer to the Helsinki attractions planner . Luxembourg City, Luxembourg to Helsinki is an approximately 7.5-hour flight. You can also do a combination of bus and flight; or drive. The time zone changes from Central European Time to Eastern European Time, which is usually a 1 hour difference. Expect little chillier weather when traveling from Luxembourg City in August: highs in Helsinki hover around 24°C, while lows dip to 13°C. Finish your sightseeing early on the 8th (Thu) to allow enough time to travel to Joensuu. Joensuu is a city and municipality in North Karelia in the province of Eastern Finland. Your inner history buff will appreciate Salpa Line and Kerimaki Church. Eschew the tourist crowds and head to Kolovesi National Park and Paha-Koli Hill. Change things up with these side-trips from Joensuu: Koli National Park (Akka-Koli Hill & Rasavaara Observation tower), Lieksa (Paateri & Neitikoski Rapids) and Pikkukirkko (in Savonlinna). The adventure continues: take in breathtaking views at Orinoro Gorge, enjoy the sand and surf at Utra Beach, take in the architecture and atmosphere at Tohmajarven kirkko, and see the interesting displays at Old Mine Mining Museum. For ratings, photos, and other tourist information, read Joensuu trip itinerary builder site . The Route module can help you plan travel from Helsinki to Joensuu. In August, daily temperatures in Joensuu can reach 22°C, while at night they dip to 13°C. Cap off your sightseeing on the 16th (Fri) early enough to travel to Turku. Discover out-of-the-way places like Bellevue Beach and The Archipelago Trail. You'll visit kid-friendly attractions like Vepsa Island and Ispoinen Beach and Sauna. 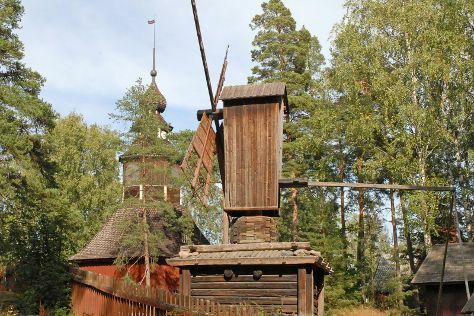 Explore Turku's surroundings by going to The Church of the Holy Cross (in Rauma), Jokioinen Museum Railway (in Jokioinen) and St Olaf's Church in Tyrvaa (in Sastamala). The adventure continues: head off the coast to Uto, get a new perspective on nature at Turku Biological Museum, enjoy the scholastic atmosphere at Abo Akademi, and take in the architecture and atmosphere at Archangel Michael's church. 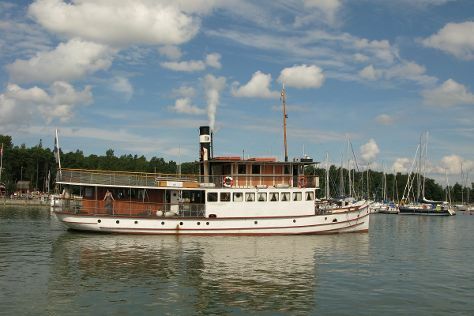 For photos, more things to do, ratings, and tourist information, go to the Turku trip planner. Drive from Joensuu to Turku in 6.5 hours. Alternatively, you can fly. In August, daytime highs in Turku are 23°C, while nighttime lows are 12°C. Wrap up your sightseeing by early afternoon on the 23rd (Fri) to allow time for travel back home.